For their monthly Fleet newsletter, IPWEA interviewed Melisa Clarke, Fleet Administration Officer at East Arnhem Regional Council in the NT. How did you get started in fleet and plant, and what was your first job in the industry? My first exposure to fleet and its management was through my role as branch manager for an LPG company. We didn’t have a fleet department at that stage and each branch looked after their own tankers, trucks & light vehicles. My interest in fleet management was sparked then but it wasn’t until we started to travel around Australia that I scored my first role managing fleet, this was in Karumba in the gulf of Carpentaria QLD. This was a big eye opener with 111 fleet including road trains, with side tippers, graders, excavators, skid steers etc, the remoteness and the areas we worked in were very challenging along with the wet season when it came along. The excitement of being involved in projects where you set up a work camp and need to manage servicing and repairs whilst working around shifts, then your trying to beat the weather and if you don’t the plant or machine stays there until the dry and that could be months! There were times that on a breakdown you would need to drive six hours to pick up parts and then return and get them to the fitter out in the field. I was also responsible for fatigue management of drivers and operators all challenging stuff! Tell us about your role and the kind of fleet and plant you manage. 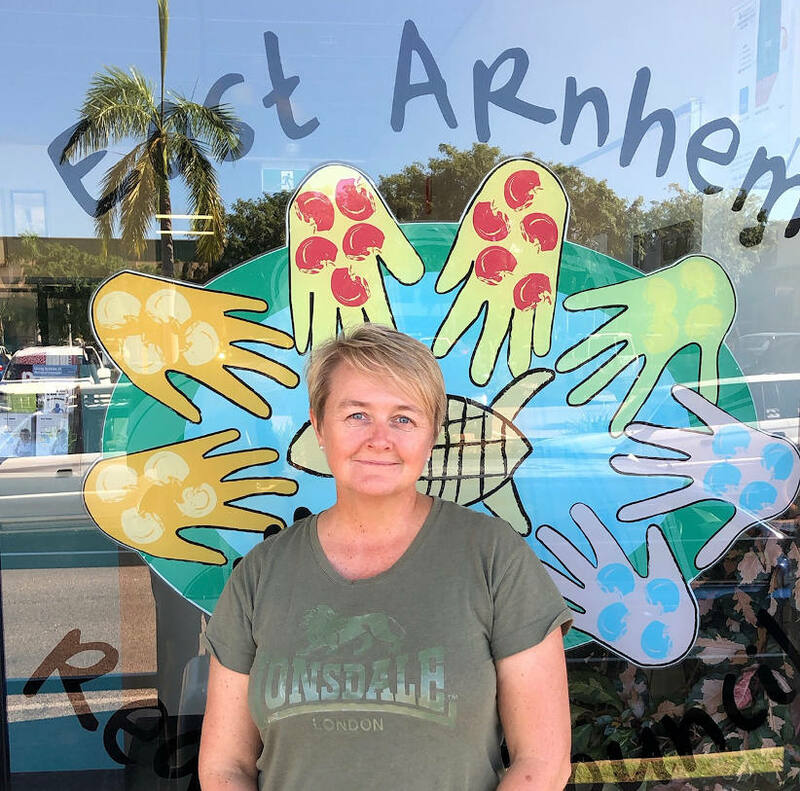 I now work for East Arnhem Regional Council in Nhulunbuy, Northern Territory, as Fleet Administration Officer. This is quite a hands-on role and to give an example of how remote we are, just to get here once you turn off the highway, it’s 250km of tar then it’s 650km of dirt. Nhulunbuy is a mining town with a large indigenous population. We take care of nine other indigenous communities throughout East Arnhem land, only two of these we can drive to, the rest we fly by charter plane. We have a fleet of 165, including mowers and tractors and any vehicle up here has to be very reliable, robust and 4WD. Our fleet is made up of mainly Toyota Land Cruisers and Hilux. We have Caterpillar and Komatsu loaders which are mainly used for digging graves and pushing up rubbish in the community’s garbage dumps. To move any fleet around we send it by barge and that’s time consuming and costly, but the only way. The challenges here apart from being remote are vandalism (weekly occurrence) the wet, (we once had a backhoe bogged for two months until dry enough to get in and get it out) and employees that don’t hang around long enough to learn the skills to operate the machinery. There is never a dull moment! Flying in the small charter planes seeing the amazing sites of Arnhem land and visiting the communities. How do you think the fleet department can make sure it has buy-in and support from the rest of the organisation? I think communication is the most important thing, be it with a board of directors or to workers in the field, we need to be clear of what is expected from them and we need to seek what is expected from us as well. If you weren’t in the fleet industry, what would you be doing? I can’t be sure – I’ve been led here and I’m enjoying the adventure.